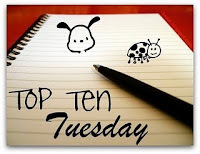 Top Ten Tuesday is an original feature/weekly meme hosted by Paula over at The Broke and the Bookish. Each week a new Top Ten list is shared, based on suggestions of fellow bloggers, for all to answer. This week's list is the Top Ten Authors We Wish Would Write Another Book. Clive Barker - Yes, he's still writing the Abarat series, but I want another of his dark, weirdly fantastic, gloriously graphic tales for adults. Find a new publisher for Black Is The Devil's Rainbow (it kills me to know there's a finished manuscript we're not getting to read), and finish up The Scarlet Gospels (you can't tease Pinhead versus Harry D'Amour and then leave us hanging). Richard Laymon - Okay, so he's dead, but I'd love it if somebody discovered a pile of unpublished manuscripts in his cellar. Then again, given his penchant for creepy, inappropriate horror, you have to wonder if he had them buried with him, just waiting for somebody to dig them up. 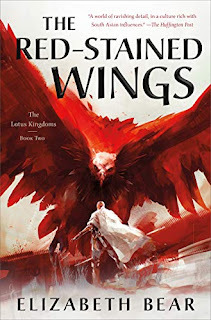 Melanie Rawn - This one's kind of a cheat, because she is writing again (we'll see if Touchstone fulfills the uneven promise of The Diviner), but I'd still like to see the next volume of the Exiles saga sometime before I die. Jude Fisher - While she's still writing under her own name (Jane Johnson), I really wish she'd slip back into the Jude Fisher persona for another epic fantasy tale. There's just so much unfulfilled potential there waiting to be explored. 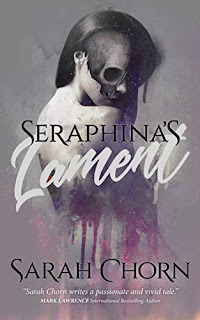 Poppy Z Brite - She's still alive and kicking, writing her Rickey and G-Man series, but I'd like to see her step outside the kitchen and return to the realm of gothic horror that made her famous. With watered down vampires hogging the spotlight, I think she could help shock the genre back into respectability. Michael Crichton - Richard Preston helped to finish off Micro, but I'd like to think Crichton left behind a few other unfinished manuscripts . . . maybe even a return to Jurassic Park. He was such a technological visionary, you have to wonder if he's hidden something somewhere. Sara Douglass - Having passed well before her time, I'm really hoping Sara left behind a few unpublished works as well. I'd gladly settle for another historical fantasy, but a hidden epic fantasy gem would be great to see. 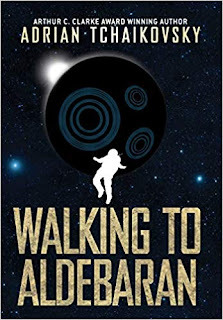 Robert T Bakker - Raptor Red was such a great read, I wish he'd do another dinosaur novel. Thomas Harris - it's been 6 years since Hannibal Rising and nearly 40 years since Black Sunday . . . long enough, I hope, the rekindle the creative juices and offer us something new. Chris Claremont - Yes, he's still writing comics (and doing a fantastic job), but I'd like to see him return to epic fantasy, to offer us something along the line of the Chronicles of the Shadow War. I want to read the Jurassic Park books, I enjoy the movies and books are always better than the movies. It always makes me feel a tad embarrassed whn I haven't read books my authors. Since there were so many on this hop, I don't want to have loads. Is there any one in particular that you would recommend? And they won't publish Larsson's book? Argh!!! I hope, ever so much, that this legal battle is solved and that we can see this manuscript.